Use this 7 1/8" x 3 3/8" x 1 7/8" 1-piece 1 lb. 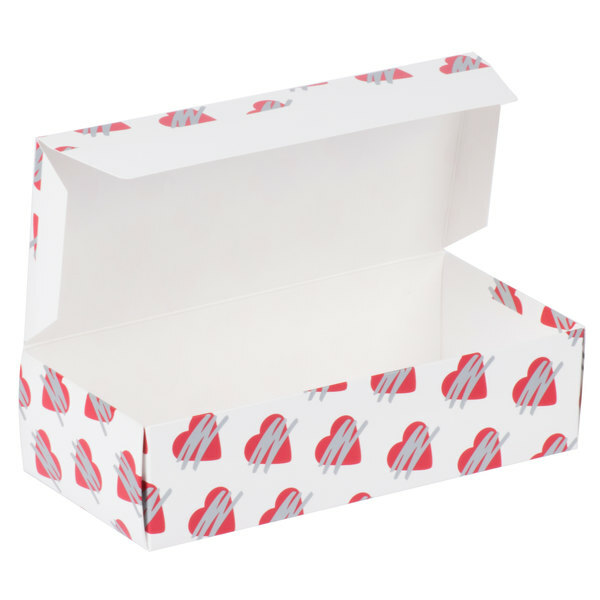 heart candy box for a contemporary and unisex, yet festive way to package baked goods for all love-related occasions. 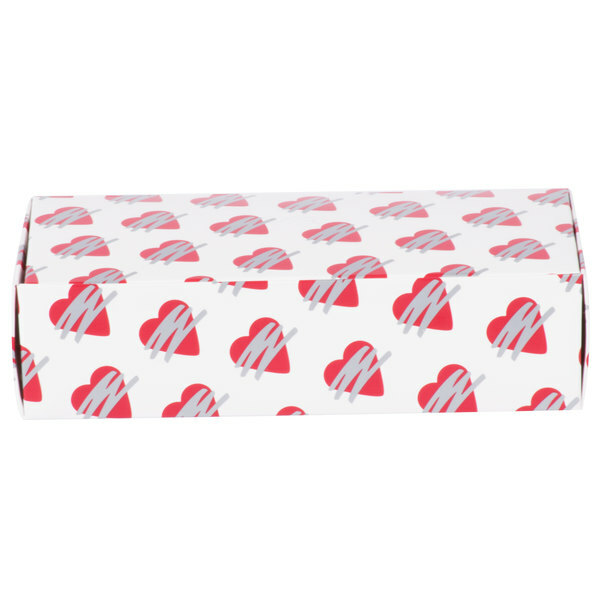 The angled red hearts with metallic silver zig-zag design add a modern flair to your packaging containers. 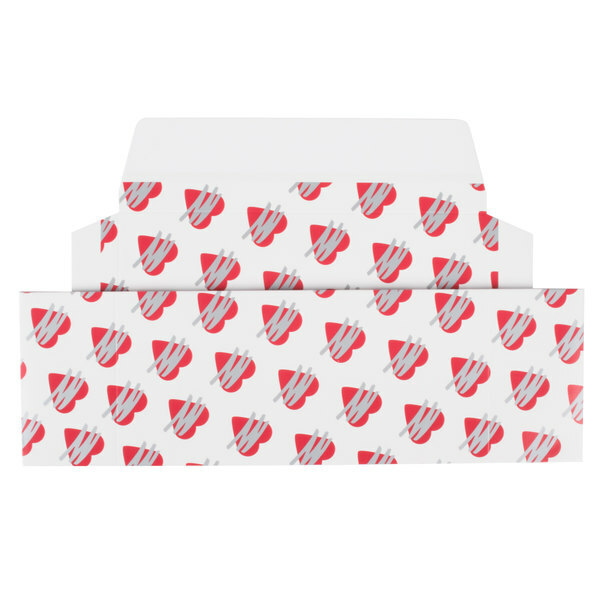 Your bakery, candy shop, or restaurant can use this decorated box to package fudge, taffy, cookies, candies, and mints. This embellished box is sure to catch everyone's attention and increase impulse buys at your business! This box is easy to assemble, including creases that can be folded into the intended rectangular shape. The seamless construction of this 1-piece box ensures all creases are enclosed, eliminating the threat of nuts or crumbs slipping through cracks. This container's tuck-style lid locks in your food's freshness and provides a secure seal. Once closed, you can stack several boxes on top one another for compact storage and easy transportation. Prior to use, lay unfolded boxes flat to minimize storage space filled. This product can expose you to chemicals including BPA and Formaldehyde (gas), which are known to the State of California to cause cancer, birth defects, or other reproductive harm. For more information, go to www.p65warnings.ca.gov. WARNING: This product can expose you to chemicals including BPA and Formaldehyde (gas), which are known to the State of California to cause cancer, birth defects, or other reproductive harm. For more information, go to www.p65warnings.ca.gov.